Removable Media Data Recovery Software offers advanced file restoration solution to unerase all lost files and folders saved in USB removable media drives. Software rescue entire accidently erased and deleted data from formatted, logically damaged and inaccessible removable drives contaminated with virus, worms and bugs. Multi-storage data undelete application rescues files saved in different file formats that include jpeg, mov, avi, mp3, mpg, txt and other similar file formats. Removable disk file recovery software restores photos, pictures, snaps, audio-video songs, text folders etc. Recovers virus corrupted or deleted files and folders. Restores accidently erased photos, pictures saved in variable digital media. Rescue files lost due to disk formats or damaged drive partitions. Undelete files lost due to human mistake or improper handling of the device. Works with all USB supported removable media drives like Pen drives, Music players, External hard disk, Digital cameras, Memory cards and many more. Supports major removable media brands like Samsung, Toshiba, Kingston, Acer, Fujitsu, Dell, Sony, LG, Nikon, Casio, Panasonic, Hitachi, Transcend etc. 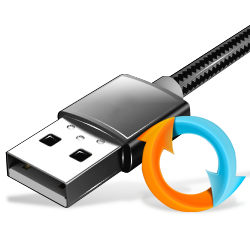 Software provides three recovery modes, select any one mode to restore lost data. Select partition from which you want to recover lost or missing data files and go to next. Disk scanning process is going on. You can see the running status of disk scanning process. Select data folders and click on Save Data option to save recovered data files.